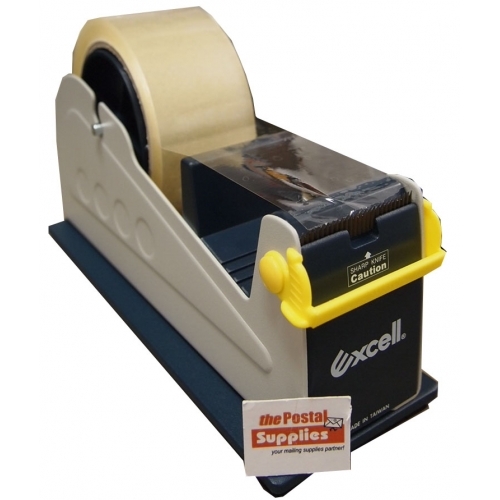 Multi-track tape dispenser for 2 rolls tapes up to 1 inch wide, 1 roll up to 2 inch wide, 3 inch core. Comes with safety blade cover. Wave-blade cuts tape cleanly and fast.